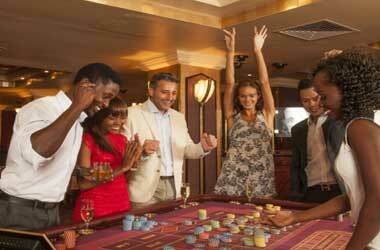 You have been playing at the casino for hours and now it is time to recharge before continuing. Just like you wish to buy in on tables with high stakes, you will surely find high-class restaurants, offering fine dining with the best wines. 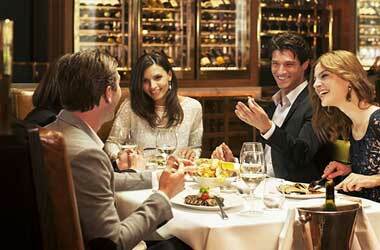 To make sure that you have the best casino experience in the Vegas strip, take a tour through the most popular fine dining restaurants at the casinos. 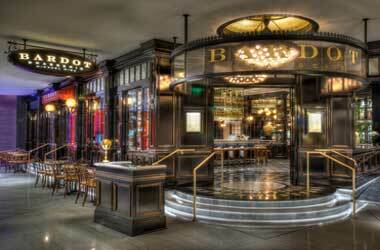 Situated in the legendary ARIA Resort and Casino, Bardot Brasserie surely raises the bar. This restaurant has the feel of a dramatic and mysterious setting with a French twist, inspired by Chef Michael Mina and boasting with a phenomenal menu since 2015. The extraordinary brunch and dinner menus infused with eclectic French cuisine will surely exceed your expectations. Bardot Brasserie also has a lovely cocktail selection along with legendary French wines such as Rhône, Loire and Alsace. Leading the kitchen and upholding all Chef Minas values, Joshua Smith is responsible for creating the exceptional weekend brunch menu. They also offer other menus such as Private Dining Menu, Dinner Cocktail Menu, more informal Bar/lounge menu and the all famous brunch menu. Smith’s outstanding standards in leading the kitchen as well as creating the most extravagant dishes will definitely top the range of restaurants to enjoy. 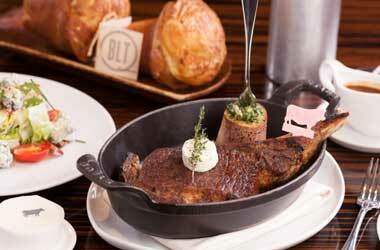 BLT Steak restaurant is situated in Bally’s Hotels and Casinos. This is in the heart of the Vegas strip. As the flagship of ESquared Hospitality, BLT Steak looks like an old-style American restaurant and has the ambience of a bistro, but if have a look at what they have on offer, you will surely change your mind. A stylish curving Bar with a lounge is at the entrance to the dining room. Decorated with rich woods and warm neutral backdrops will give you the at home feeling. Re-creating the past famous Bally’s restaurant’s ‘Sterling Brunch’ adding a desirable fine dining touch with champagne proves that BLT Steak is a restaurant of high quality and taste. They also have a few signature dishes such as Popovers, Dover sole, 28-day dry-aged NY strip and Peanut butter chocolate mousse. 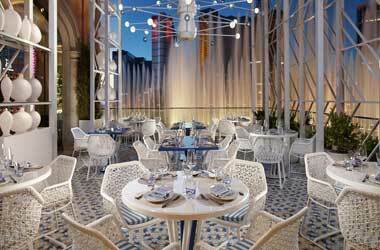 This stylish Italian restaurant is situated in the notorious Bellagio Las Vegas. Just as the spectacular Hotel and Casino, you can expect nothing less than perfect from this restaurant. 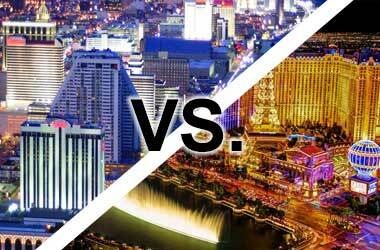 The extraordinary décor and picturesque view over the Bellagio fountain make this experience something from the movies. Lago boasts with some of the most amazing views over the fountains of the resort, prettier than any other place on The Strip. Although their portions are fairly small, the dishes are infused with the bold Italian flavours created at the hands of Award-winning Chef Julian Serrano. As the smaller portions have a more cocktail feel to it, they are nothing short of spectacular, hence the reason why this style and type of food is so popular. Should you be looking for some extraordinary food before you leave for home, you are sure to find excellent service, as they are open till midnight. Estiatorio Milos is available in the most stylish Cosmopolitan. 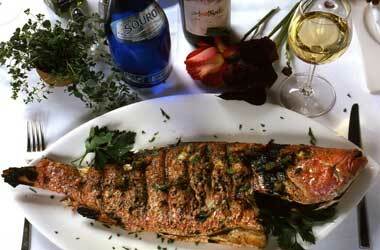 This is a Greek-inspired restaurant and their focus is on serving the most exquisite seafood. This Mediterranean infused cuisine has a long-standing status for being the best. They receive the freshest fish daily that has been flown in from around the world and prepared to perfection. This outstanding veranda dining overlooking the Vegas Strip is decorated with elegant lanterns, adding on a subtle misting system, creates a stylish Greek ambience. Estiatorio Milos is inspired by Chef Costas Spiliadis, known for his most pristine and freshest Mediterranean seafood. Be sure to book a table at this stylish Greek restaurant next time you are in Vegas. Guy Savoy is prominent for his delicate French masterpieces. Situated in the August Tower of the Ceasers Palace, Restaurant Guy Savoy is making another debut with his newly introduced Caviar room. This elegant Lounge will have its own exclusive menu with a variety of caviar dishes as well as some brand new creations and signature favourites of the Michelin chef. 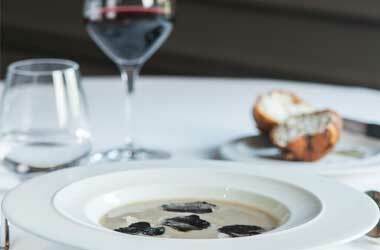 Some signature dishes are the Soupe d’artichaut a la truffle Noire, Fondant Au Chocolate and Feuillellé aux champignons et truffles. They also offer gluten free as well as vegan dishes. Every dish is tastefully decorated with the finest detail, you might even be too afraid to spoil the picture. The five-star service together with the expert French cuisine will definitely guarantee you an unforgettable experience at Restaurant Guy Savoy. 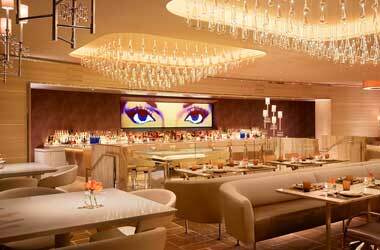 Looking for the most elegant restaurant in Vegas? Well, do not look any further. 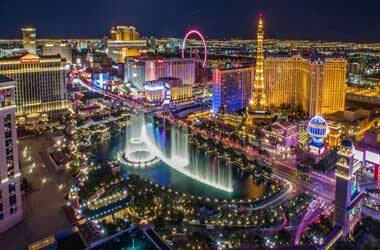 MGM Grand hold the award of the Forbes Five Star, AAA Five Diamond and Wine Spectators. This intimate and peaceful setting promises some of the world’s fines meals. 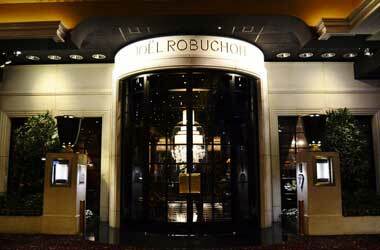 Michelin starred Joël Robuchon is the master chef behind these dishes. He is ranked the highest in the world able to show off with over 30 Michelin stars. The luxurious décor and sophisticated dishes are proof of the French-inspired restaurant’s spectacular reputation. There are two lounges to choose from, one being the very classy and stylish restaurant, intimate and sophisticated, and another lounge elegant too with a more relaxing feel, the L’Atelier, you are still guaranteed of the finest food and wine of all times. With the formal dress code and the best of the best, you can be sure this will be an experience of a lifetime. 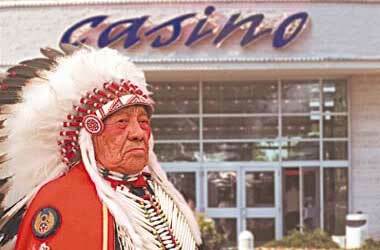 This casino is filled with fine dining restaurants. Some of the biggest critics have been visiting the restaurants at Wynn and they have walked away with exactly seven Forbes Travel Guide awards all for four-star restaurants. You will find everything from American cuisine, Asian Cuisine, Italian cuisine, Seafood and Steakhouse cuisine. 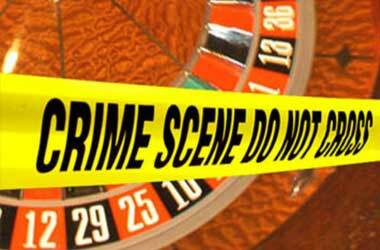 Proving that there is really something to tickle everyone’s fancy at this Casino resort. Be sure to visit Andrea’s, Costa Di Mare, The Country Club, Lakeside seafood, Mizumi, Sinatra, SW Steakhouse, Tableau and Wing Lei for an extraordinary fine dining experience. So if you are ready for the experience of a lifetime, dress up, put your high heels on and be sure to choose any one of these fine dining restaurants. You are guaranteed to be blown away by the exquisite quality of food coupled with exceptional five-star service.